Very similar to typical 550 cord, however an extra red interior strand is added that burns a nice consistent flame as opposed to the usual white strands and outer shell just melting. This way you still get the functionality of 550 cord yet with tinder ability integrated. 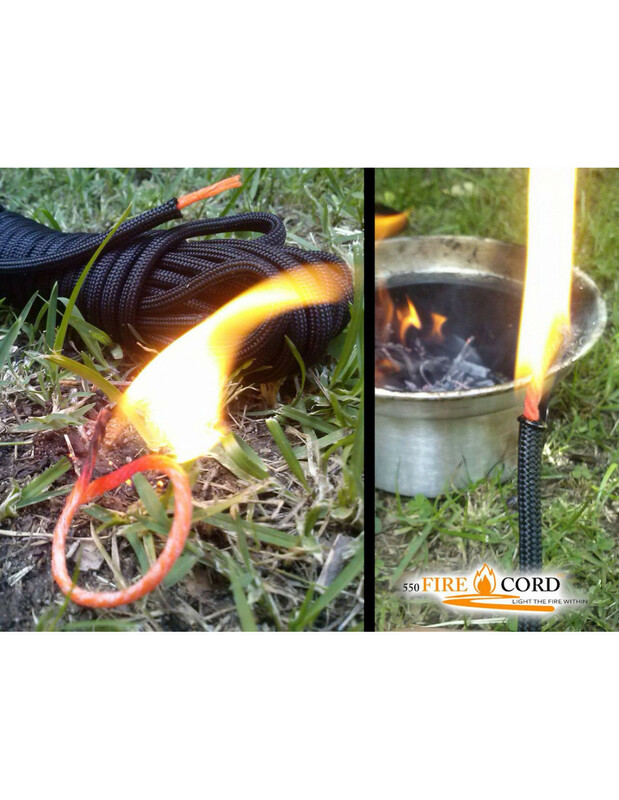 Simply deploy your 550 FireCord to meet all of your parachute cord needs. When you need the fire tinder, remove the red inner strands, light just like any fire tinder and build your fire. After the inner strands are used, the outer shell can be reused like before, for lanyards, keychains, zipper pulls, or emergency lashing. 550 FireCord is also WATERPROOF! Currently sold by the YARD. Thus a 10 unit pack = 10 yards / approx 30 feet.